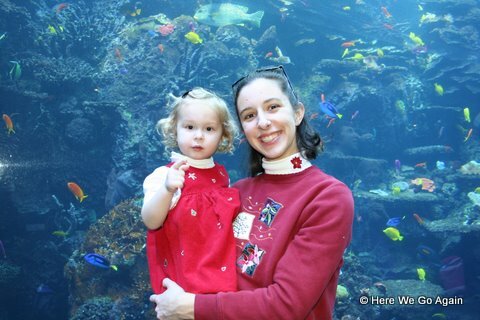 We had our picture taken in front of some fish. 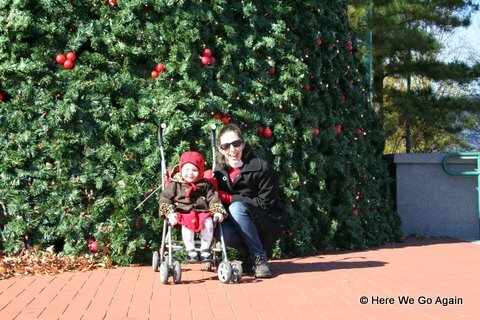 And we also had our picture taken in front of a giant tree*.Â See, totally a Christmas activity. And in case you were wondering, the Georgia Aquarium is really nice and I totally recommend going. *Giant Christmas tree was located in Centennial Olympic Park, not in the Georgia Aquarium.Â It’s across the street.